Who has time to read books? We all should, but it’s tough to know what is worth reading. As a fellow author, I have a unique point of view on what I look for in great books. 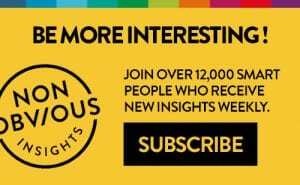 On the first Sunday of every month, the Influential Marketing Book List will spotlight and review several new books relevant for marketers, entrepreneurs and those interested in business with ideas worth learning and sharing. Reality Is Broken focuses on what could easily be one of the most important ideas of the decade – but most people haven’t realized it yet. When the average businessperson hears talk of gaming, they think of teenage boys locked in basements firing virtual guns at one another. Gaming is much more than that. The basic premise of this book is that game mechanics are an intrinsic motivator for behaviour change simply because of how humans are wired. All people love games. 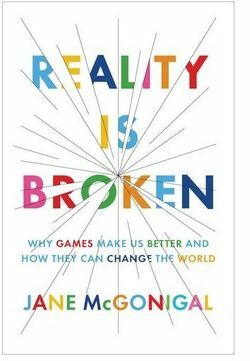 Sharing examples from her work at the Institute of the Future, McGonigal lays out not only a vision for how games can shape behaviour through new models of motivation, she also explores the important soceital questions of when gaming can become addictive and isolating. Ultimately, the vision presented in this book goes beyond academics to present a captivating case for how games really can change the world … and why we should all be considering a more “gameful” existence. Bottom Line: A brilliantly presented case for how gaming can change the world from a visionary mind. What if the link between man and machine continues to evolve deeper until we reach a point where technology enables us to connect more deeply to one another? 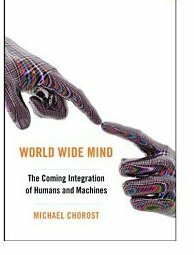 Some could argue that perhaps we have already reached that point thanks to social networks – but in this wonderfully written philosophical memoir, Michael Chorost argues that our future will likely include far more technology of the mind. Thanks to his own story of having cochlear implants to counter deafness, the author is connected to the idea that we all may have technology implanted to help us live better or overcome physical limitations. The best thing about this book, though, are the thought provoking questions that this raises around the nature of technology and where we might draw the line between machine and humanity. Chorost’s voice is a remarkably personal one and you get the sense that he has struggled deeply with many of the questions he now brings into this book. These are not questions with easy answers, but the experience of even thinking about them will be sure to open you up to new ideas – and that alone makes this book worth it. The Bottom Line: A thought provoking “philosophical memoir” on how technology could better help us understand one another. Your customer is not like you. No matter how many times you might hear that piece of wisdom, it is still remarkably easy for most marketers to forget. In this necessary book, advertising exec Kelly McDonald shares plenty of insider tips on how to reach diverse audiences such as rural consumers, Asian Americans, Hispanics/Latinos, Military, and many more through case studies of real organizations doing it well (and those making big mistakes you can learn from). 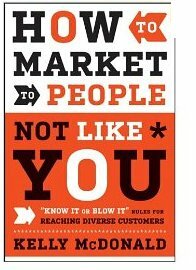 Reaching diverse niche audiences is an unfortunately rare topic for marketing books, and as a result this book really stands out. Far from being purely theoretical, it is easy to tell that the lessons McDonald shares are based on real experience. If you are looking for a competitive edge that your competitors are not thinking about, this book can help you get it. At the very least, it will help you think about how to reach many different audiences who are sadly used to being marginalized or ignored. As a member of one of them (Asian American), trust me when I tell you we will be grateful if you can be one of the brands who actually pays attention to us. The Bottom Line: A (sadly) rare look at how to reach diverse audiences, why it matters and what to do first. You can’t take it with you. This well known proverb often comes as something of a surprise to many business owners when it comes time to think about selling their business. 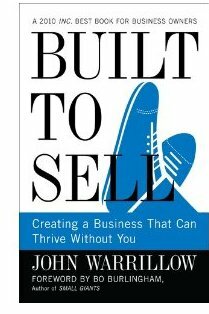 According to John Warrillow, building a thriving business is not enough, you need to think about creating one that can survive without you. During my first experience interacting with John, he was interviewing me about the role of personality in building an organization that could succeed without its owner or founder. This is a profound question in the business world of today, and one that every business owner must be ready to answer. In this highly readable book – Warrillow tells the story of one character, Alex Stapleton – the owner of a small regional marketing agency. The book reads more like a novel than a traditional business book, but its clear that Warrillow (a serial entrepreneur who has started and exited 4 companies himself) has a sharp eye for how businesses really run. Pairing his “parable” with an “Implementation Guide” – this book is an ideal read for any small business owner considering starting or exiting their own company and looking for an action guide on how to do it. The Bottom Line: A highly readable guide for any business owner considering selling or exiting their business and needing a roadmap to do it. 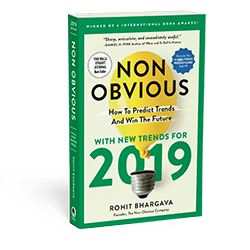 If you work in an organization that could be described as “creatively bankrupt” – this book will help you jumpstart the process. Written by CEO of ePrize – this book presents a five step process to encourage creativity distilled from the author’s efforts to interview 200 business leaders, billionaires, entrepeneurs. His 5 step process … Ask – Prepare – Discover – Ignite – Launch, features several thought starters and basic tools on how to use each one in a business setting. Throughout the book, you will likely find useful snippets of wisdom that could immediately be applied to many different situations. There are tips and tricks for creative brainstorming, guidelines such as the “Eight Commandments of Ideation” and plenty more tactics to try in each phase. 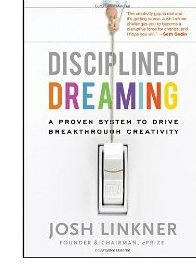 While some of the examples and advice may seem a bit basic for those who work in highly creative roles or organizations already – Disciplined Dreaming remains a good reminder that adding a structure to creativity can greatly increase its impact. The Bottom Line: A good reminder of the importance of creativity and plenty of useful tools and ideas to help make it happen. All the books that are reviewed in this series are worth your time. That’s why you won’t find any negative book reviews on this blog. As a Author myself, I have hundreds of book on my shelf and have researched hundreds more. 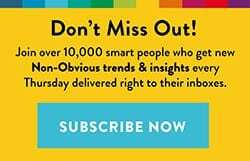 I dozens of invitations to preview books and search online as well as looking at pitches to choose the 5 best books for marketing and busines readers every month to share here on this blog. Read my other book reviews at https://rohitbhargava.com/book-reviews/.